Your Ultimate Tom Hiddleston Fan Dictionary, From "Ehehehe" to "Uncontrollably Excited"
If you've been a Hiddlestoner for awhile, you know it's not unusual for words and phrases to take on a special meaning within the fandom. Suddenly, "bless you" isn't just something you say after someone sneezes, and "pudding" means a lot more than just pudding. I've been a Tom Hiddleston fan for about three years now. So, I decided to put my fandom knowledge to use (because what else am I going to do with it?) and build you an ultimate Hiddlestoner dictionary and fan lexicon. Hiddleston has quite the vocabulary of his own, throwing around words like "predilection" and "magisterial" on the regular. I'm sure he'd be proud that he spawned a whole lexicon of phrases that all of his fans learned together. So, without further ado, here are 14 words and phrases that every Hiddlestoner needs to know. "Bless You For Saying That"
A much more polite way of saying, "Thank you." A laugh that conveys actual joy. Should probably replace "lol" in our text conversations, since no one who uses "lol" is actually laughing out loud. But just the act of writing ehehehe makes me happy. The English word for "dessert." Also something that Hiddleston is obsessed with. The fandom way to say "burn" or "joke's on you." Should be accompanied by maniacal ehehehe-ing. When you're way more than just regular excited. Otherwise known as Tom Hiddleston's entire state of existance, always. Otherwise known as the press event with the most perfect Hiddles. It was April 17, 2012, and he was promoting Avengers. "Tom is just firing on all cylinders that day. Perfect hair (both cut and color), perfect facial hair, skin tone, wardrobe, physique etc," Tumblr user HiddleMemes says. "Not to mention a smile on his face and a special gleam in his eye. This is the Ultimate in Tomness. And, lucky for us, about a gazillion pictures of him were taken that day." The notification tone Hiddles has on his phone. The British version of "head flashlight." You never know when you're going to need a head torch. Especially if it flashes. In Hiddleston's hands, this is a glorious and simple pleasure. Never has a baked potato looked so good. Something that immediately follows even the most minor of transgressions. Eating chocolate right before an interview? You should be sorry you're mouth is full. Ruining a bunch of fangirls' hearts? You're so sorry to have caused them pain. Win an award? You're sorry. The solution to opening any locked door. What we are. 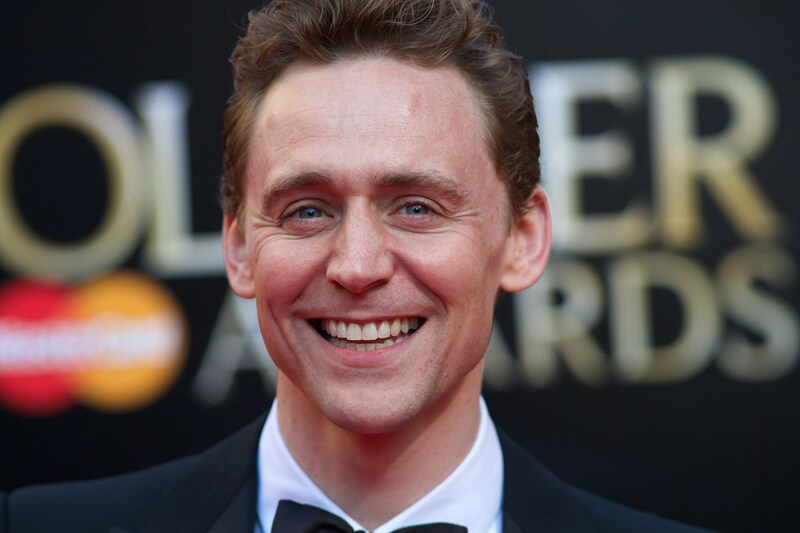 Hopelessly devoted to Hiddleston and everything he does. We will see movies he's only in for 15 minutes and wait in the line in the rain for a small chance to see him. We're not fanatical, we're passionate. Hiddleston says so himself. I'm proud to be a Hiddlestoner, and you should be too. Hiddleston's Army forever.